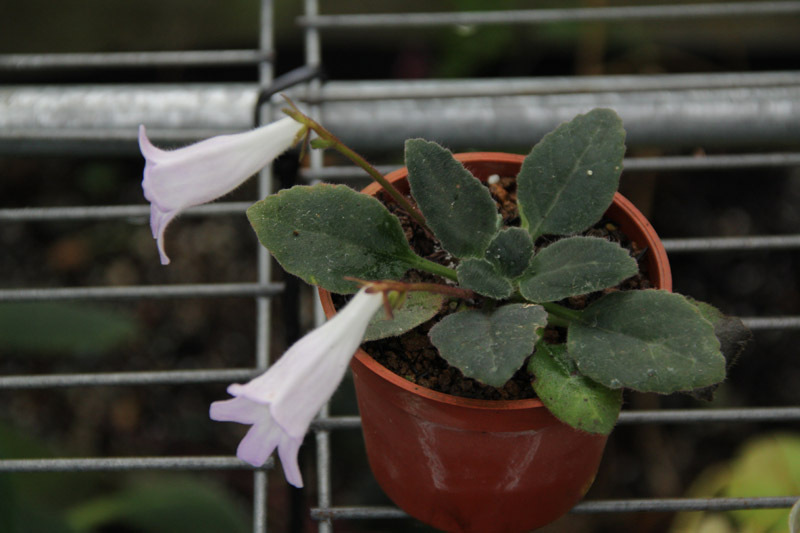 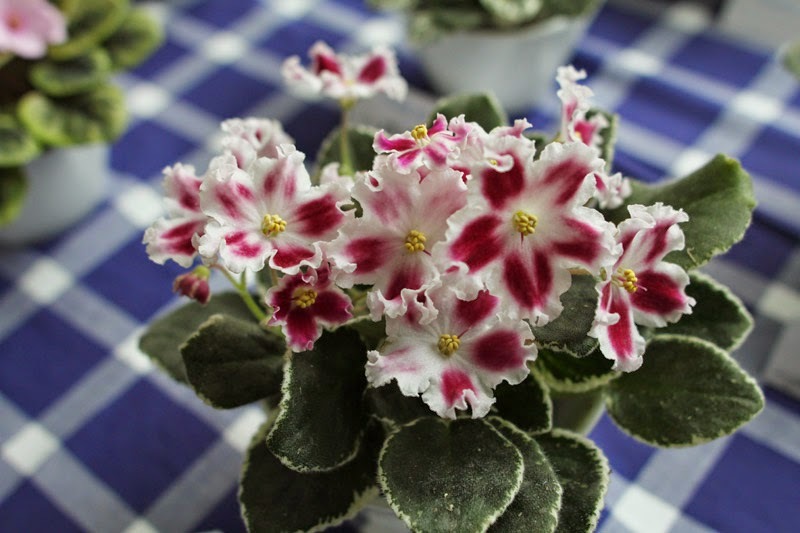 This is a charming Primulina that features beautiful variegation of leaves and pretty flowers although there are a lot difference between clones. 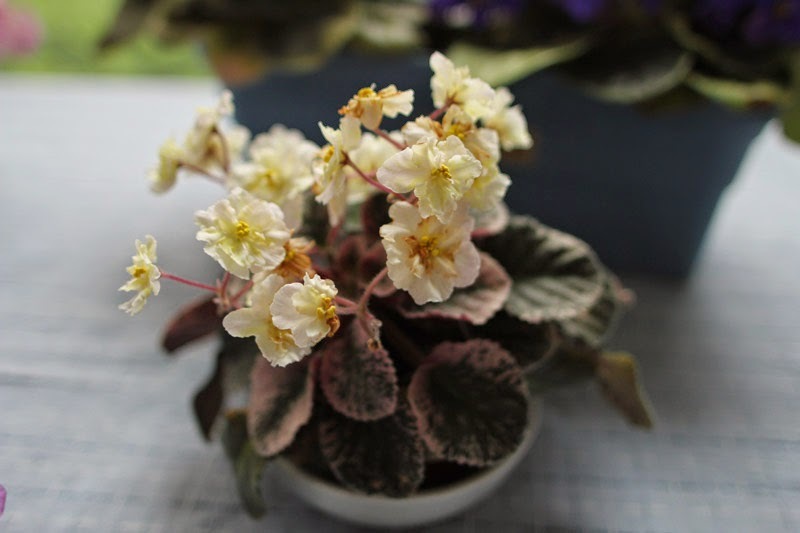 I got one small plant from a friend last year and recently it blooms. 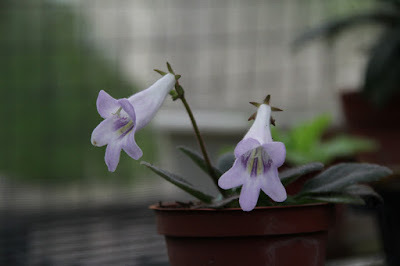 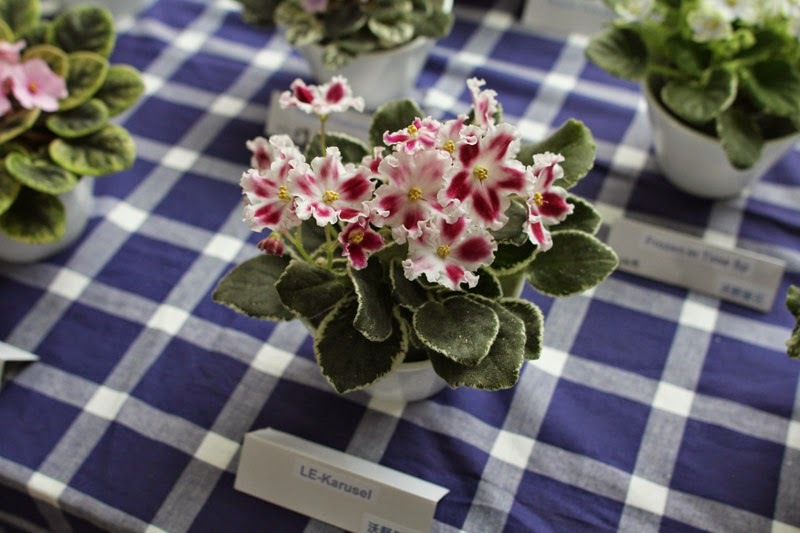 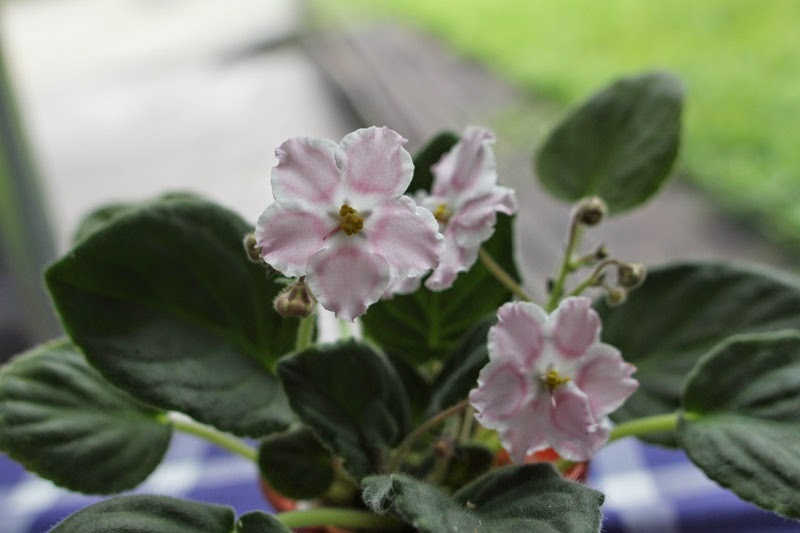 Mine is less variegated, quite miniature and the flower is pretty. 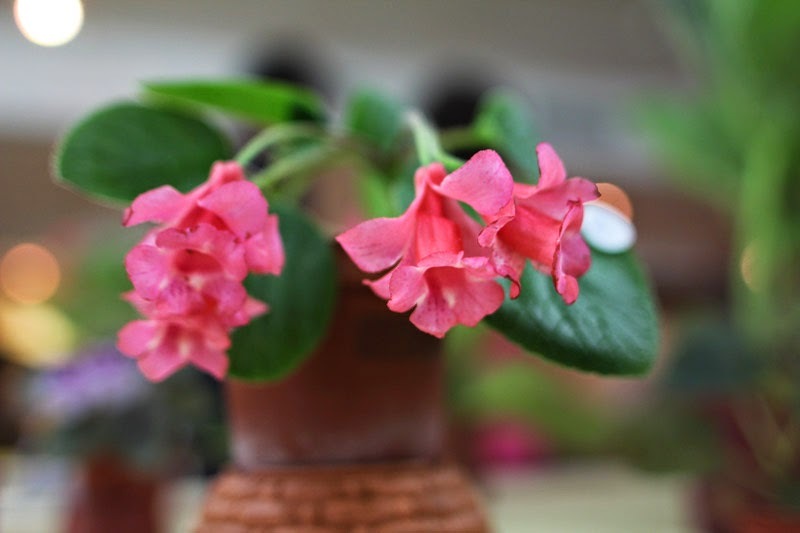 I guess this lipstick plant was sold firstly to commercial flower market in Thailand under the variety name "Thai Pink" only. 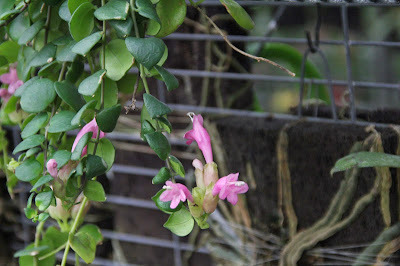 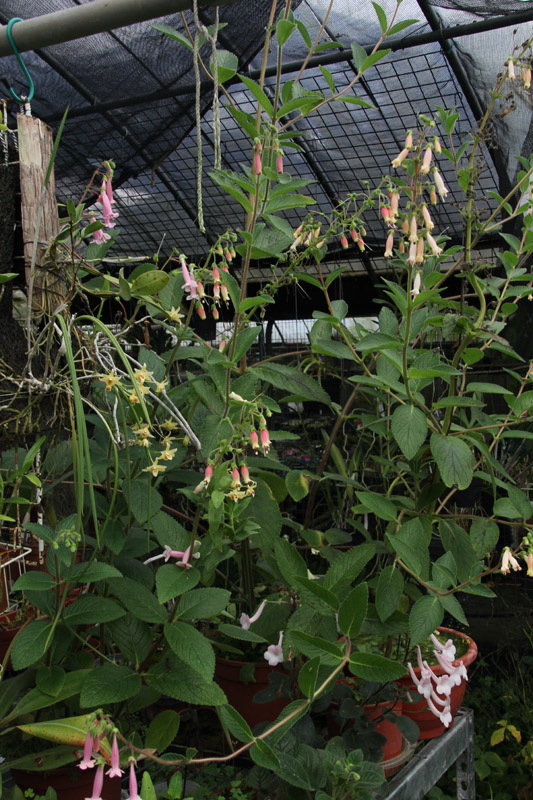 But Thailand is not the origin habitat of this pink Aeschynanthus. 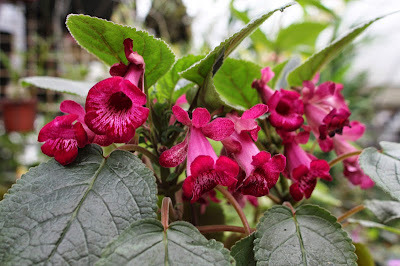 I ever saw a similar pink lipstick plant was found in Luzon, Philippines from a research ... so the known habitat of this lipstick plant may be Philippines so far. 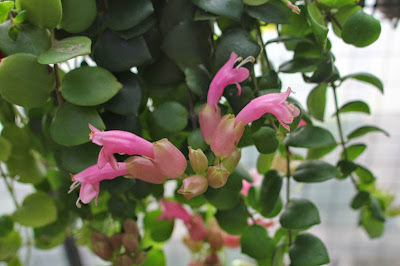 Anyway, Aeschynanthus chinanthus stands out with its pink color from the family of red. Aeschynanthus in Asia shares the similar ecological role as the Columnea in America, I believe there are many unknown species waiting for exploration. 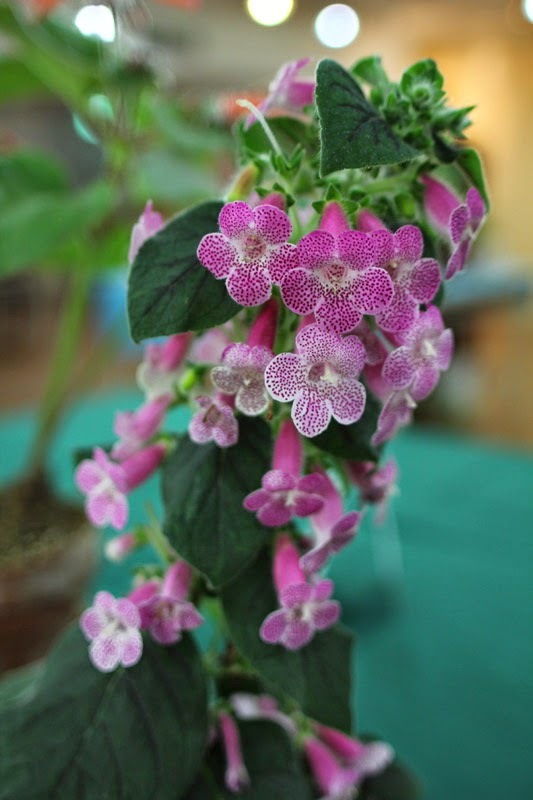 I presume the Kohleria lovers will be excited with these beautiful plants which are the latest achievements from Mr. HCY who has done many Kohleria hybrids. 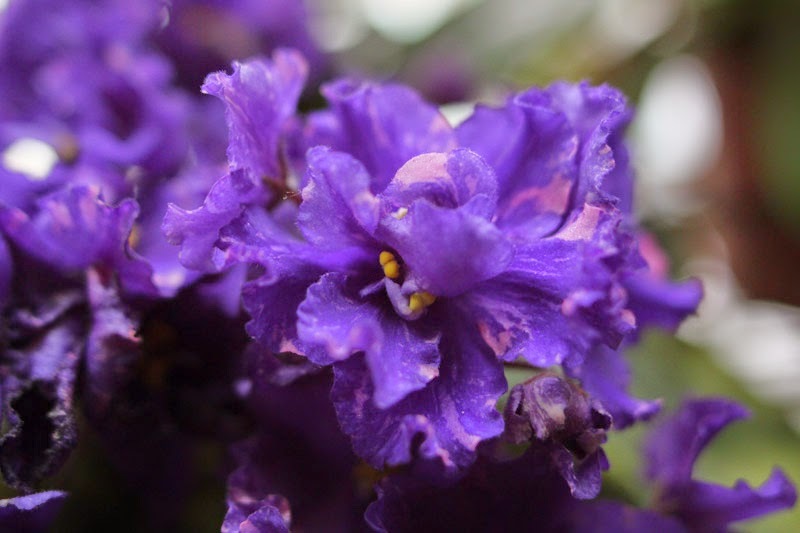 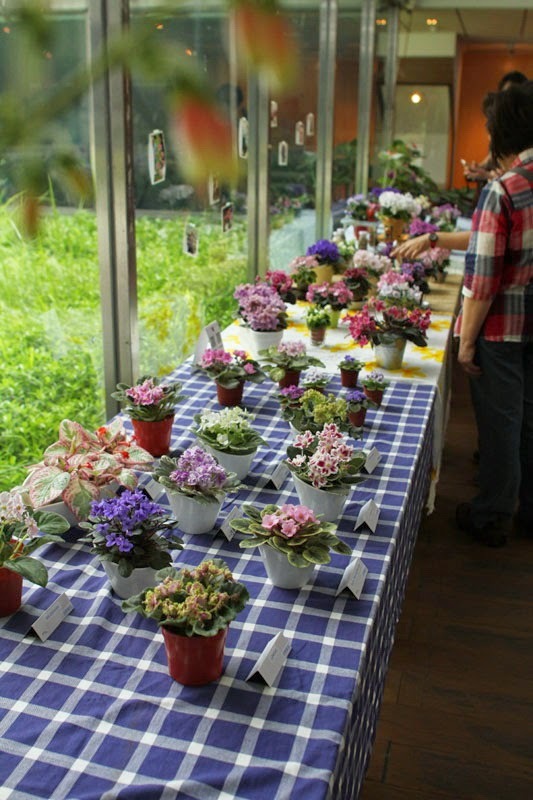 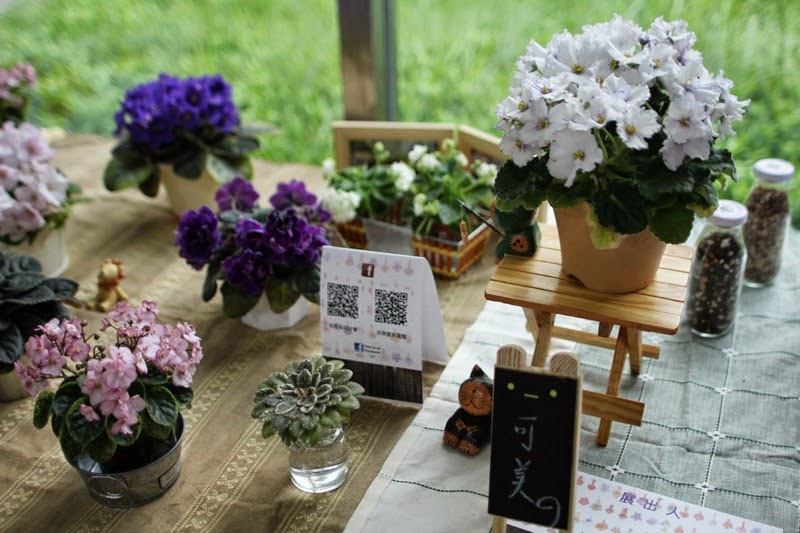 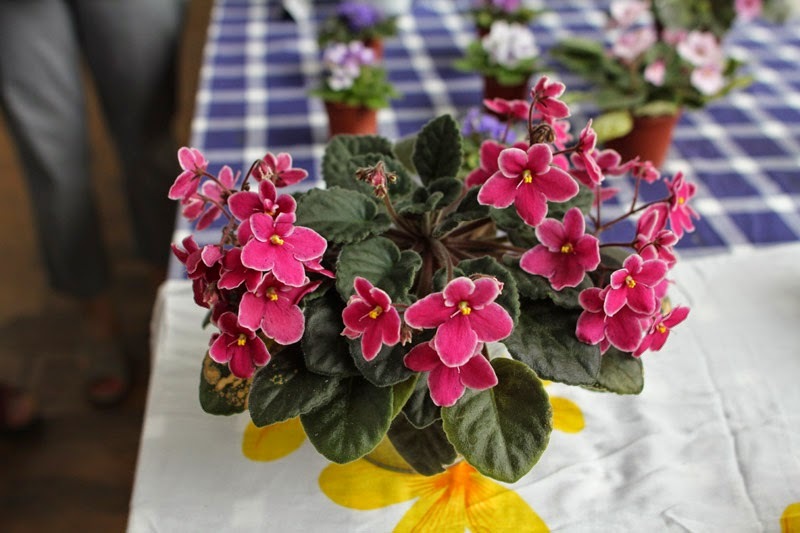 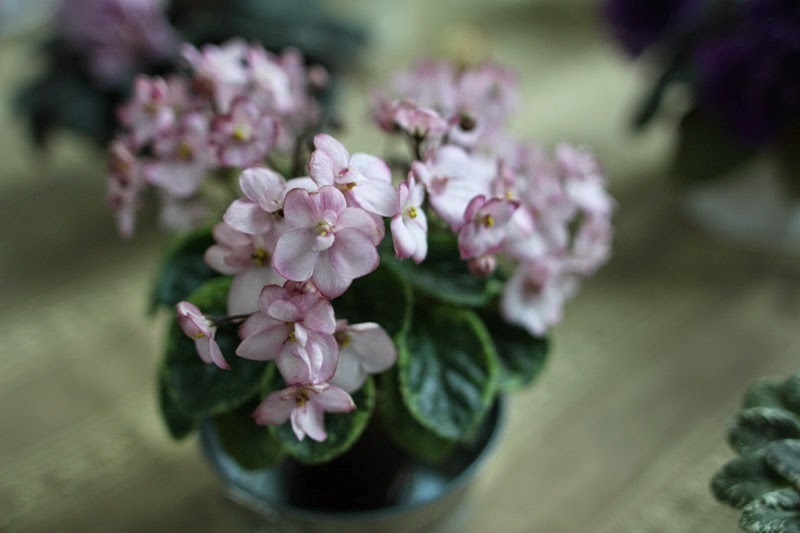 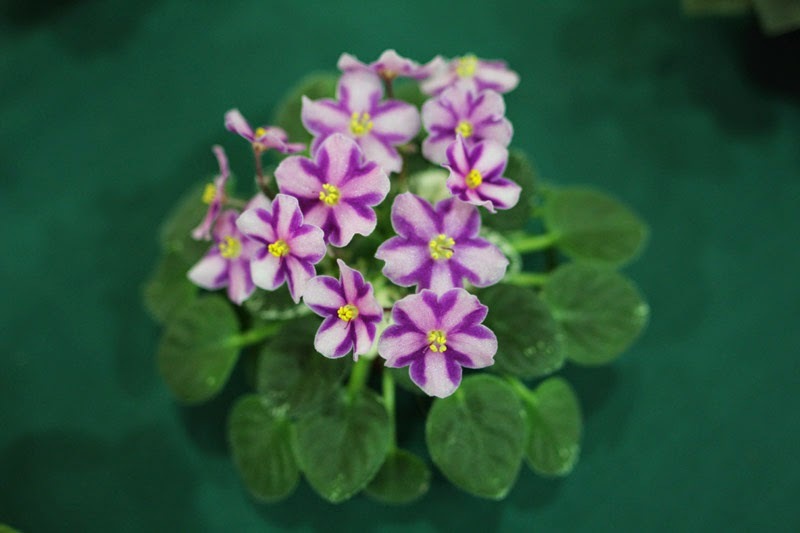 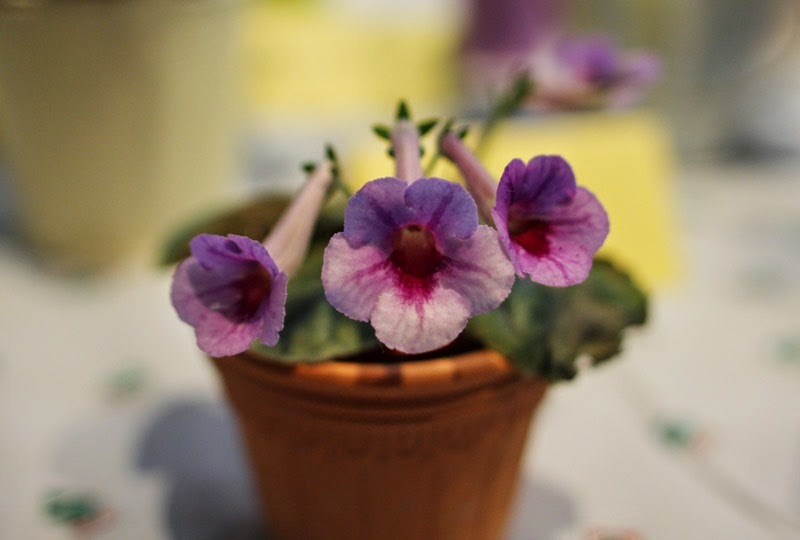 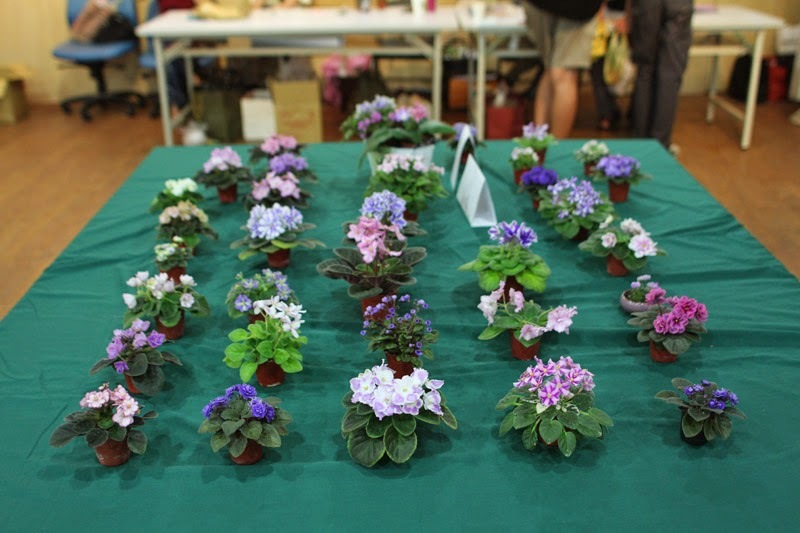 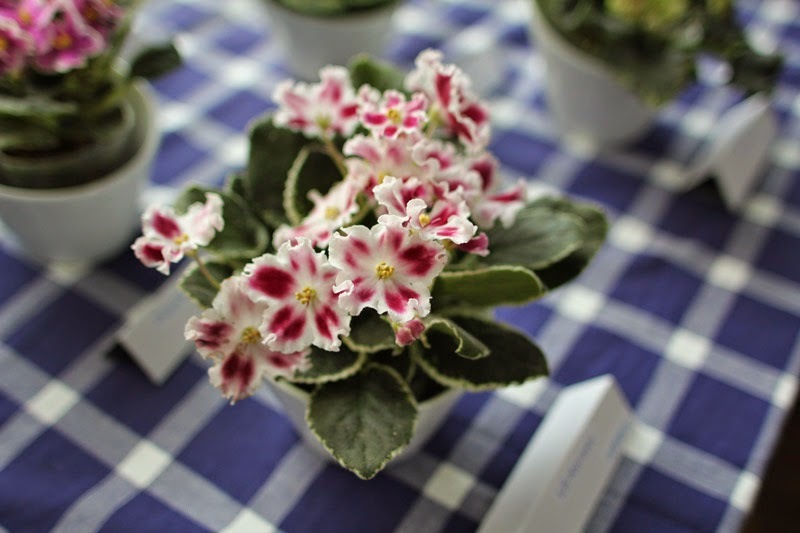 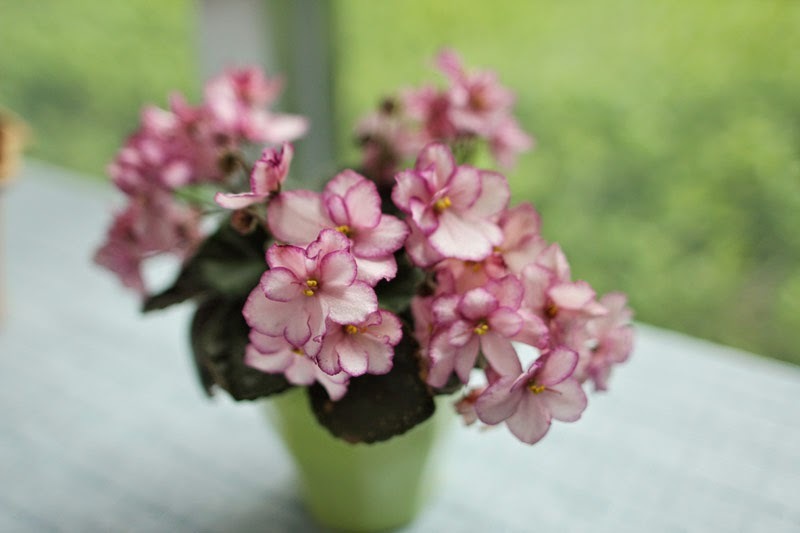 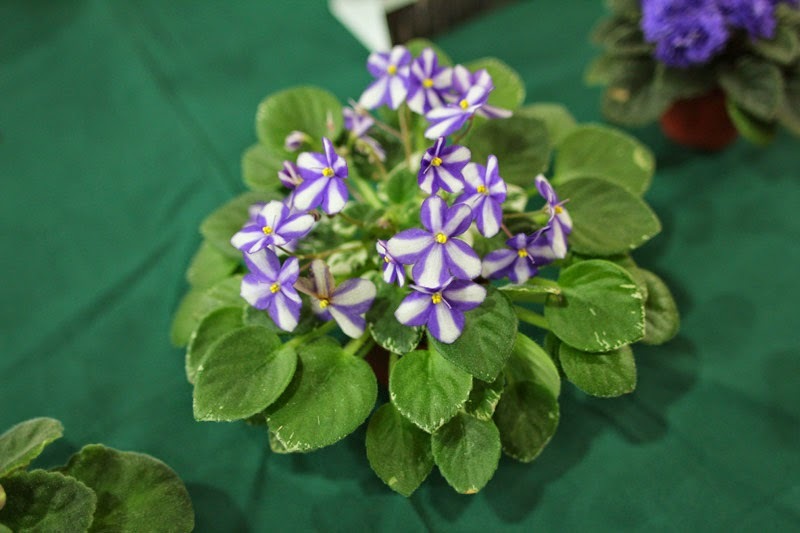 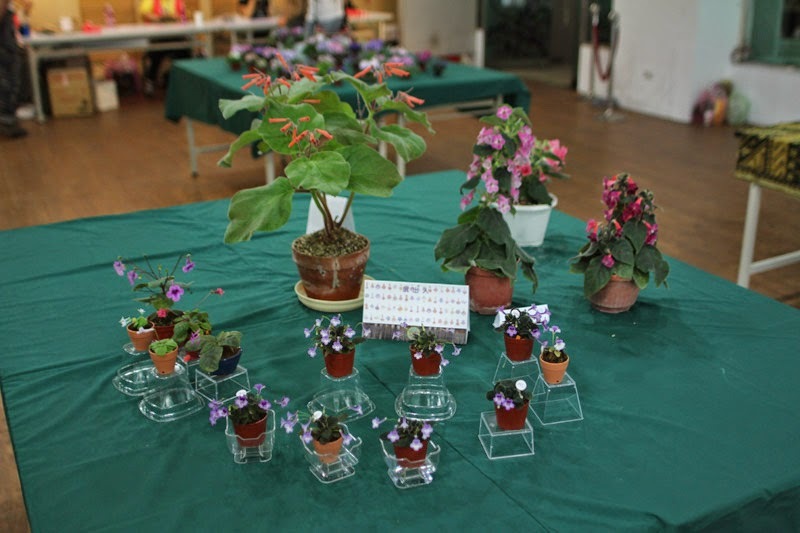 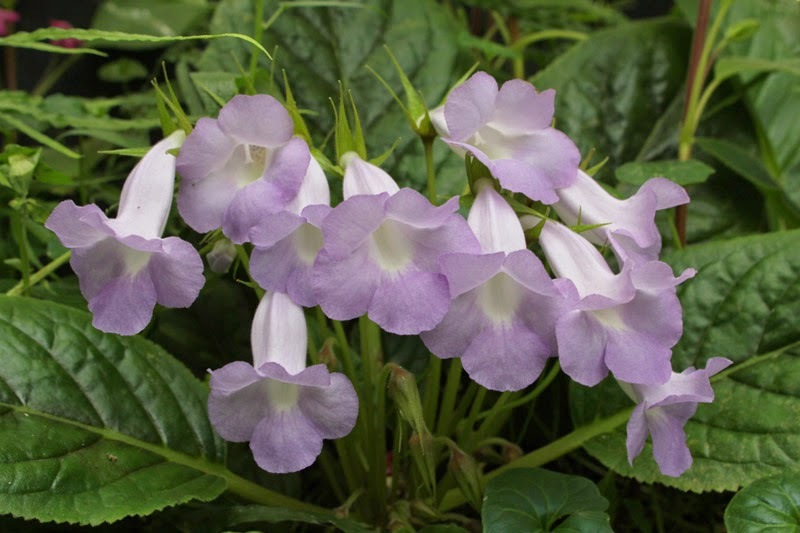 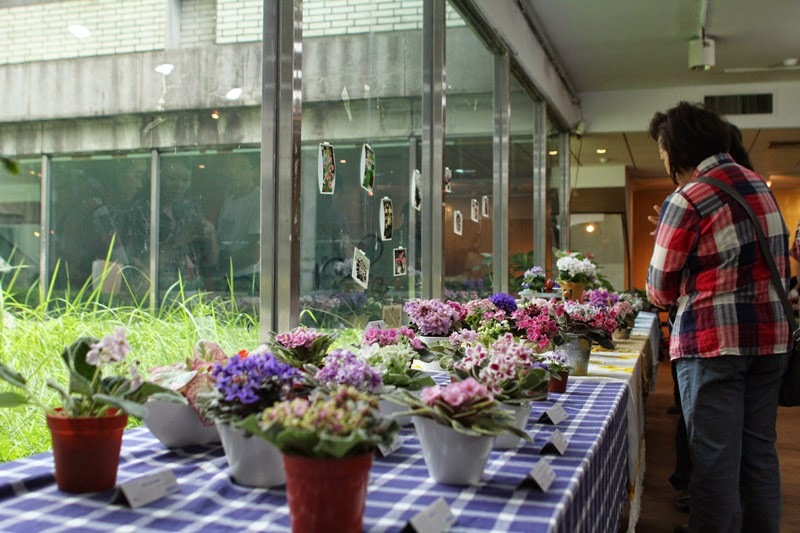 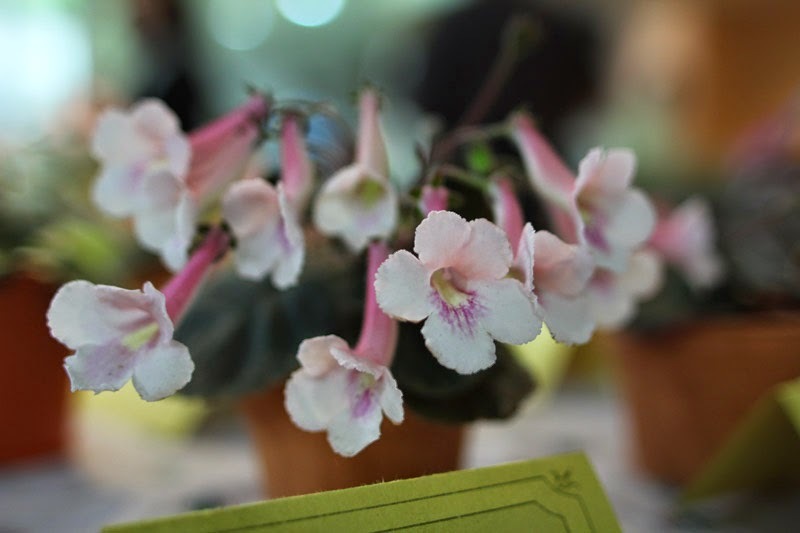 These blooming machines are compact with extremely outstanding and showy flowers. 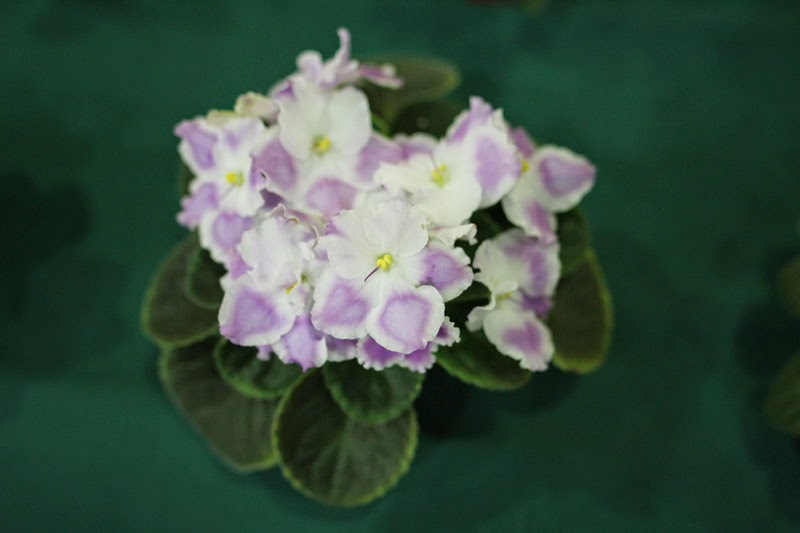 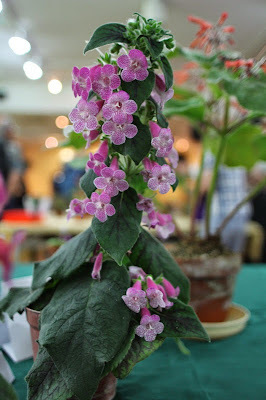 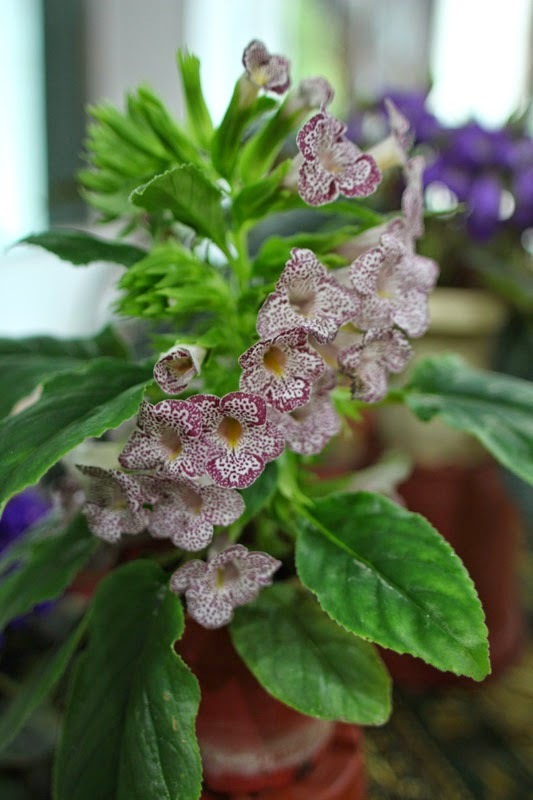 And I guess they represent the classic characteristics in terms of the hybridization work of Kohleria in Taiwan so far. 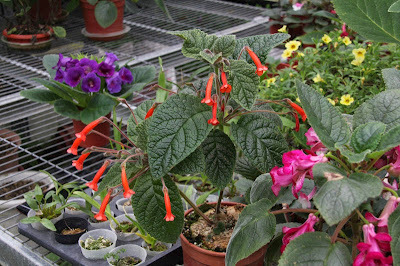 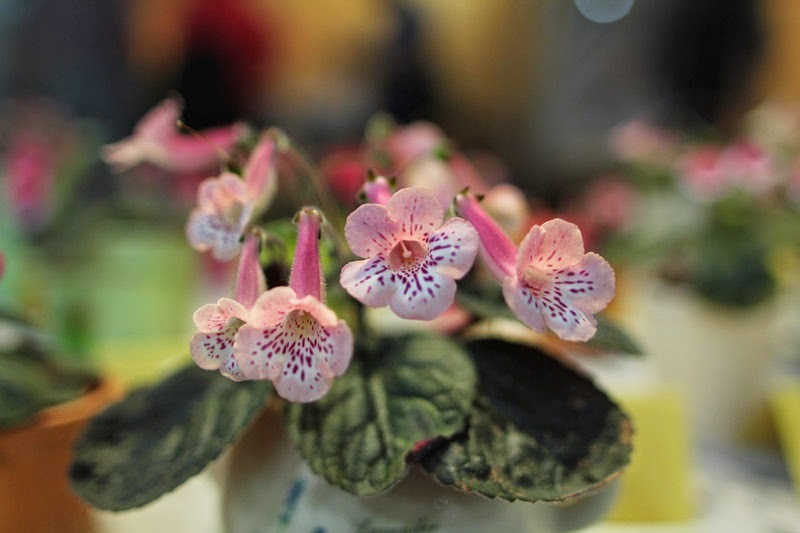 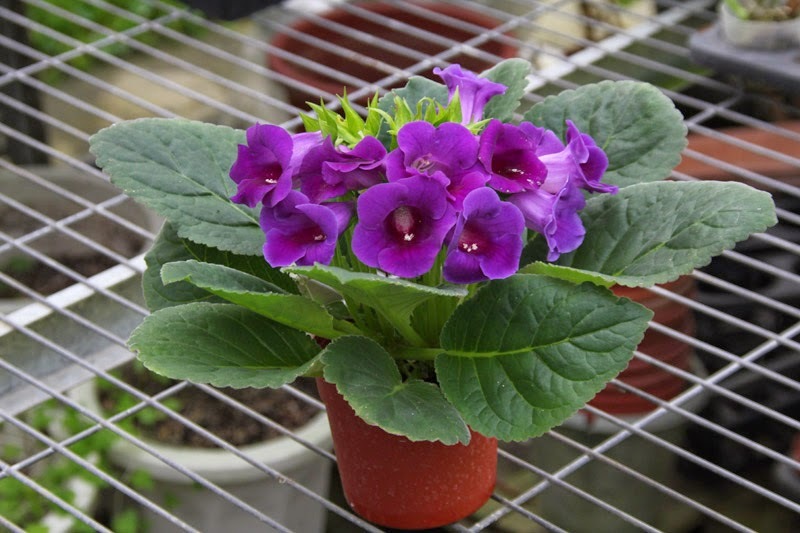 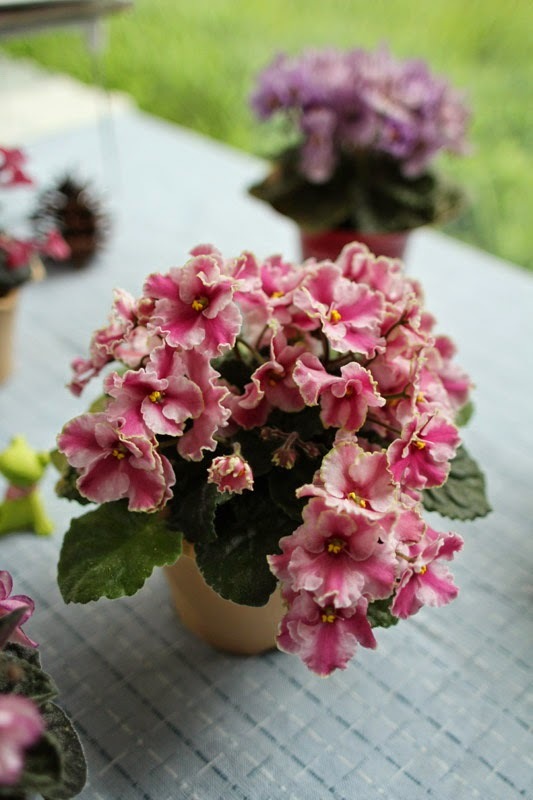 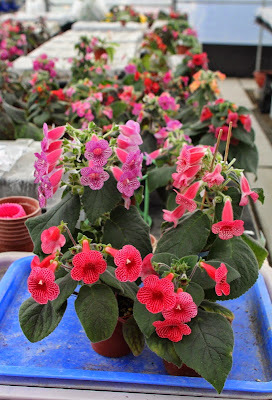 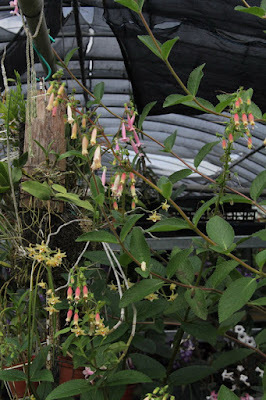 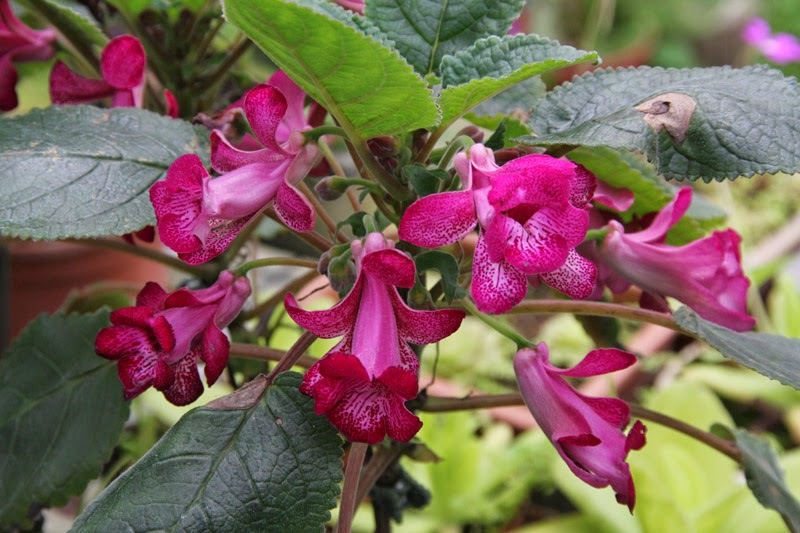 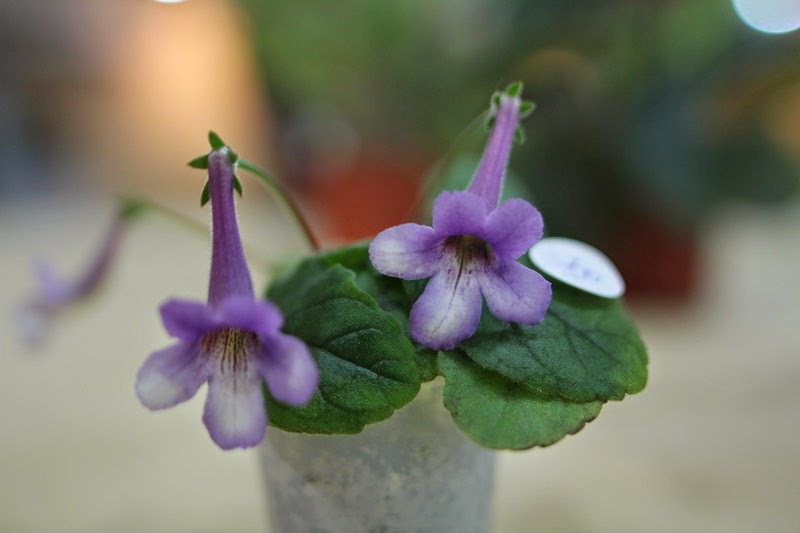 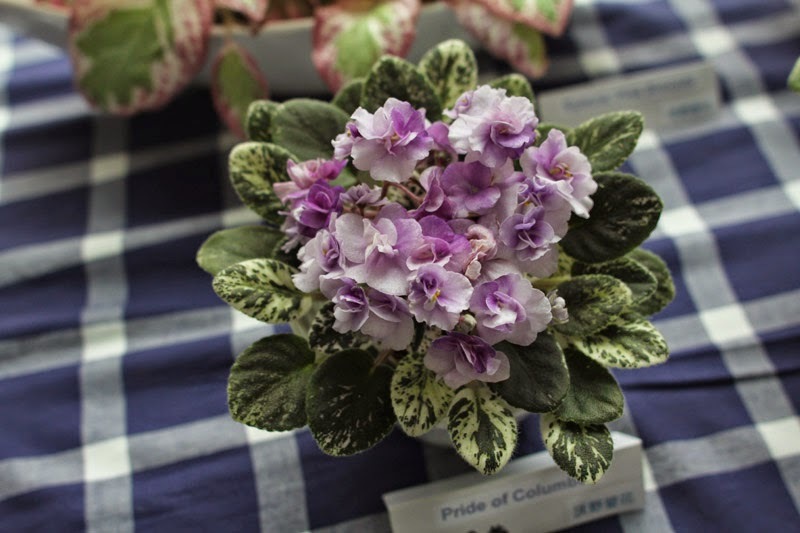 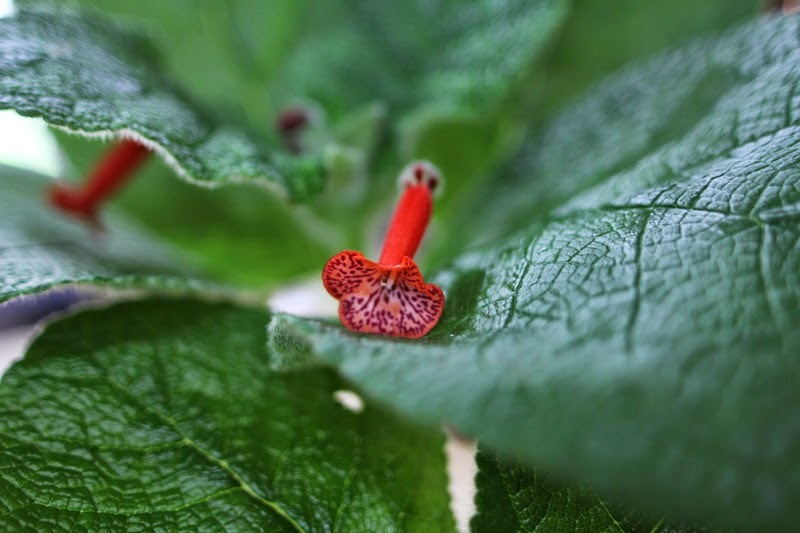 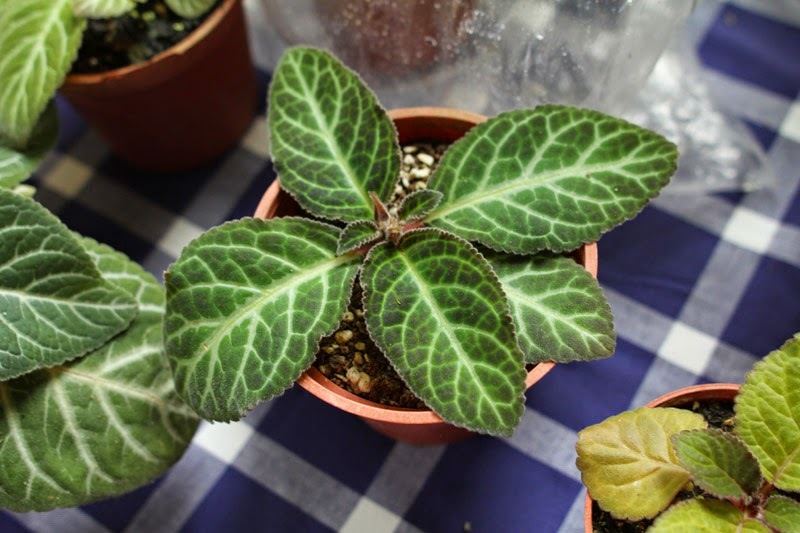 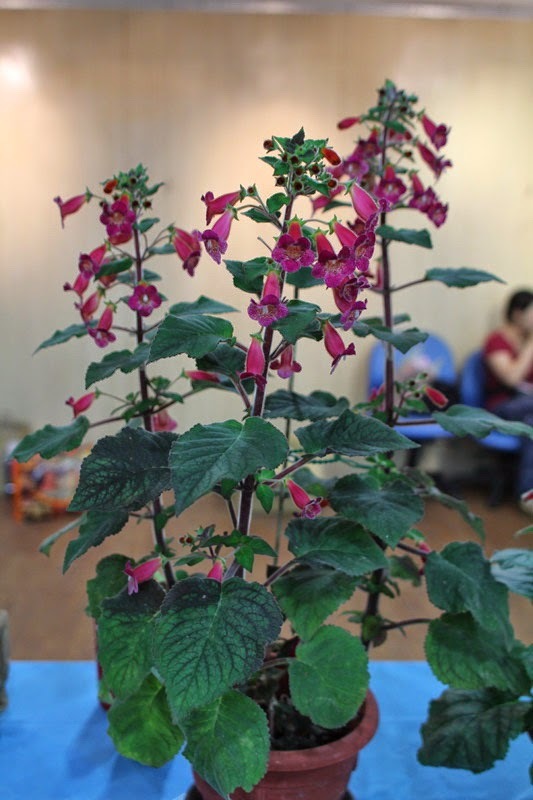 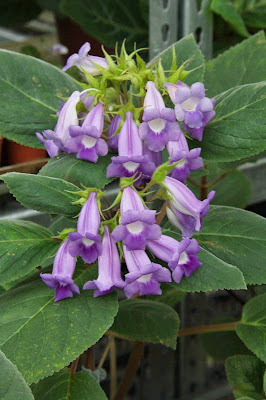 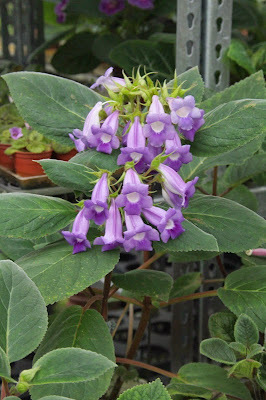 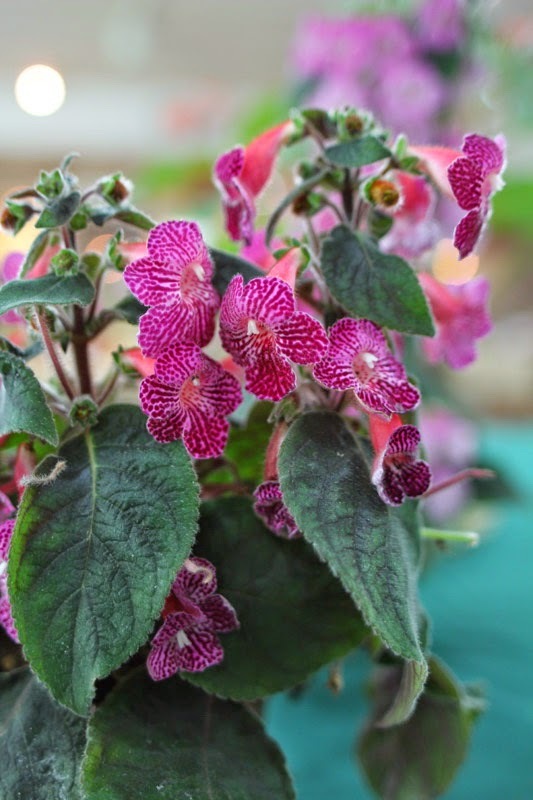 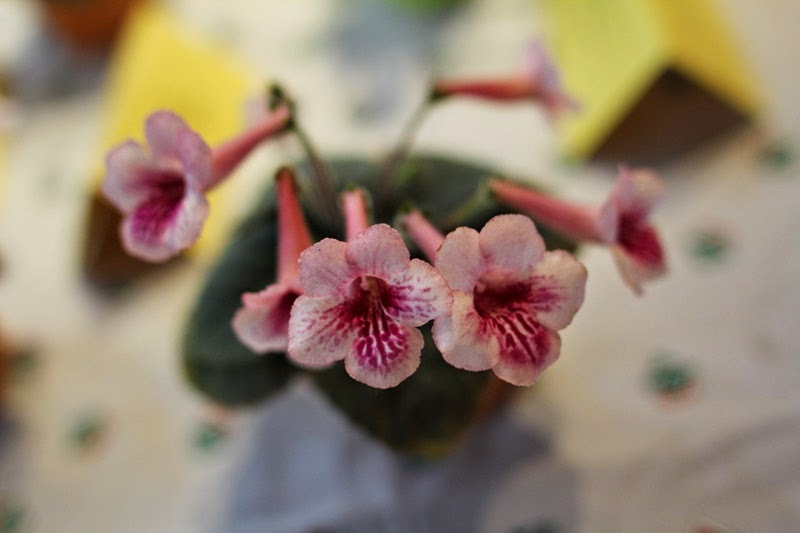 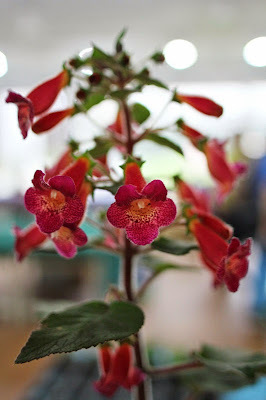 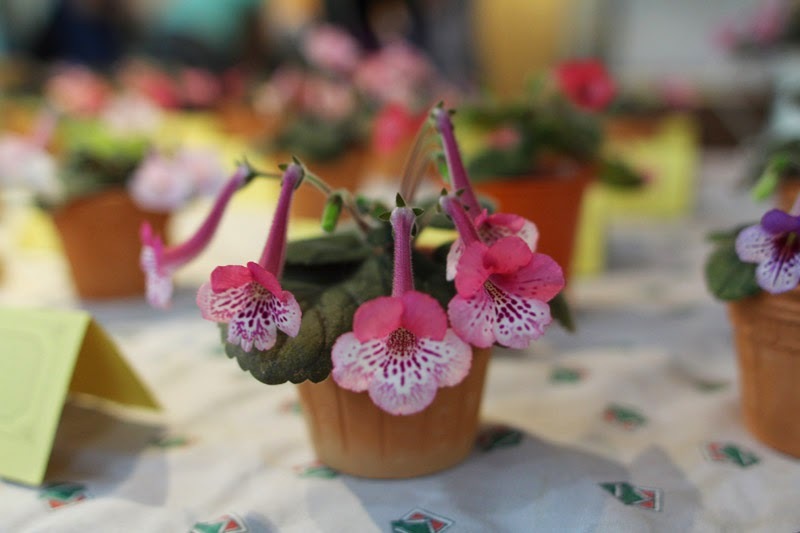 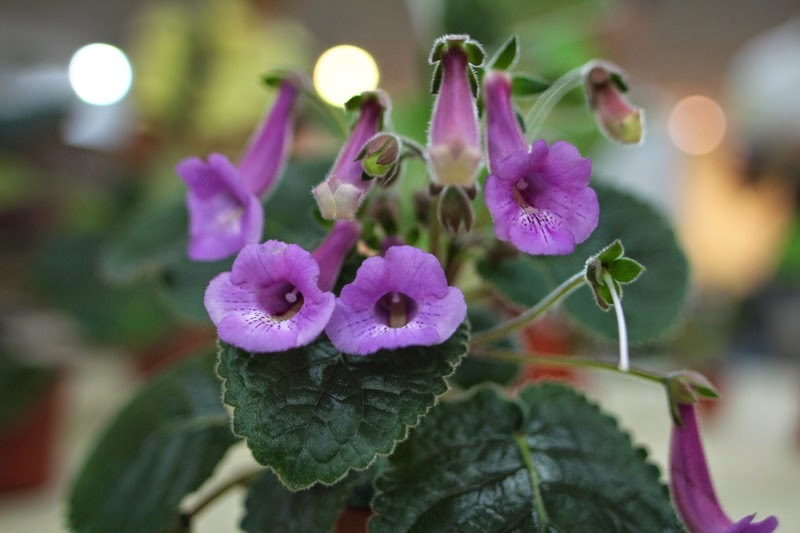 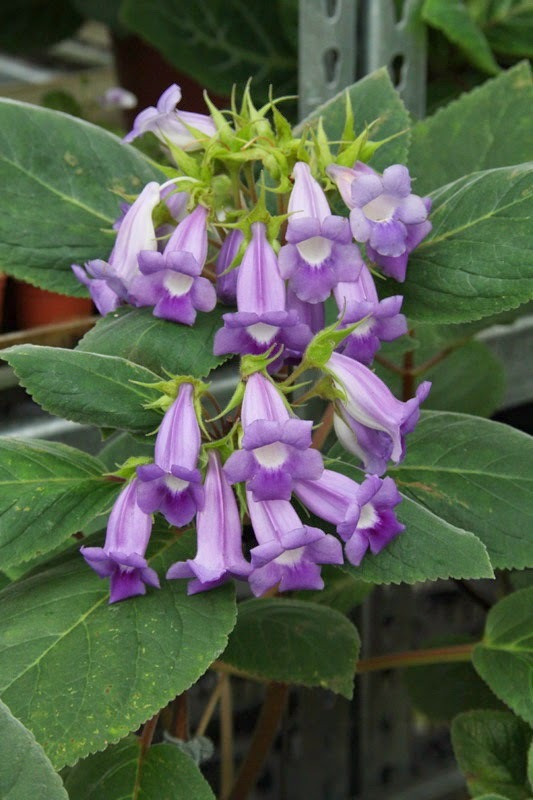 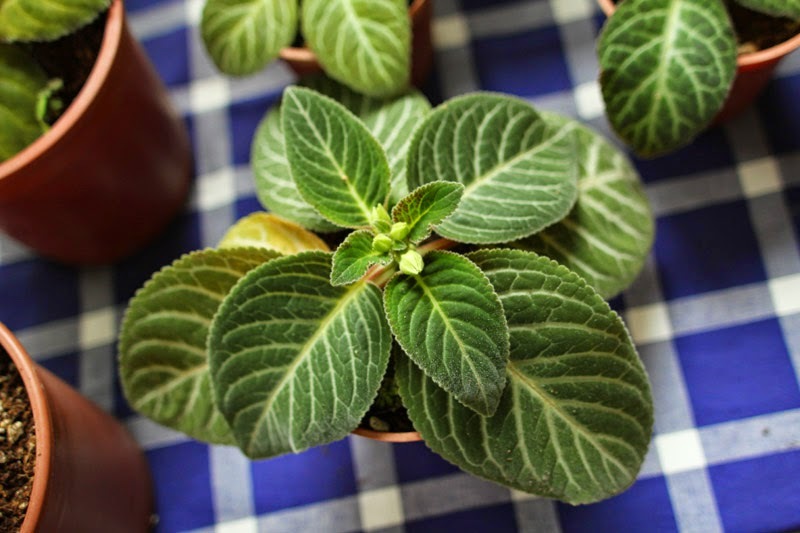 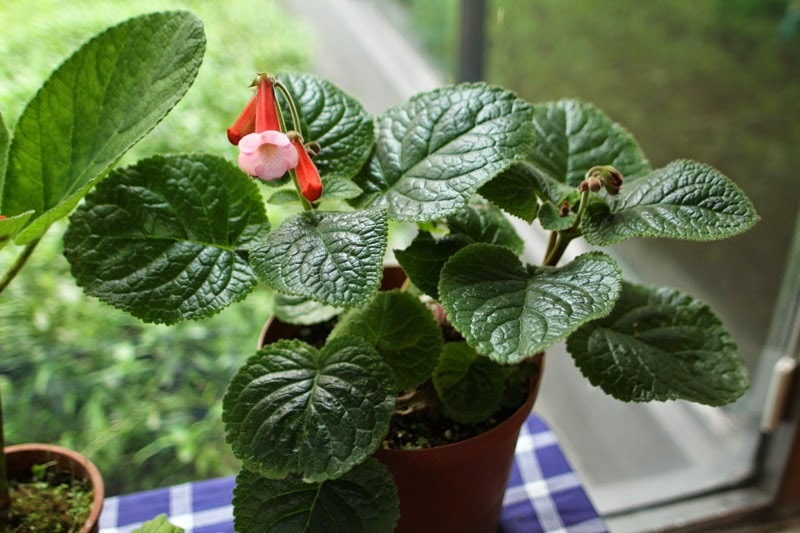 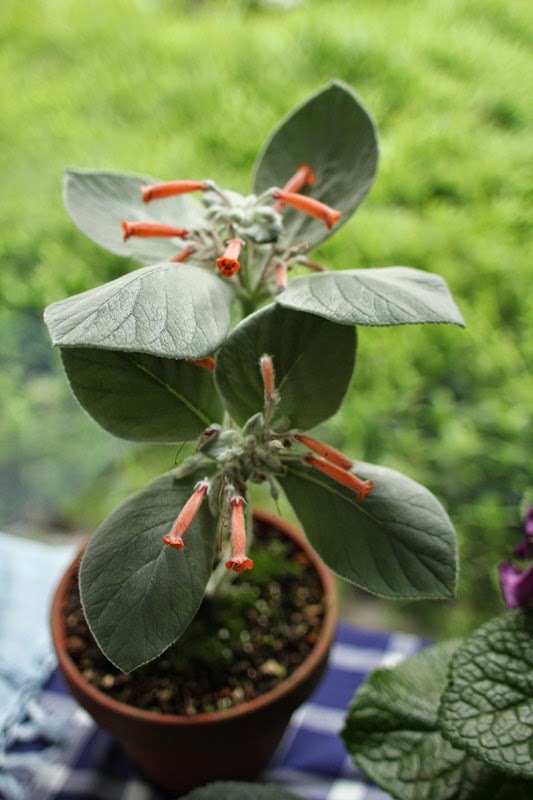 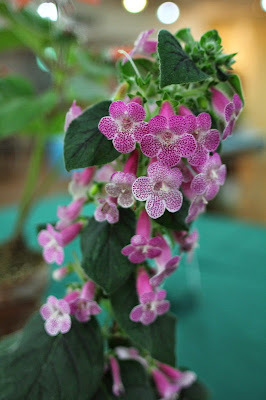 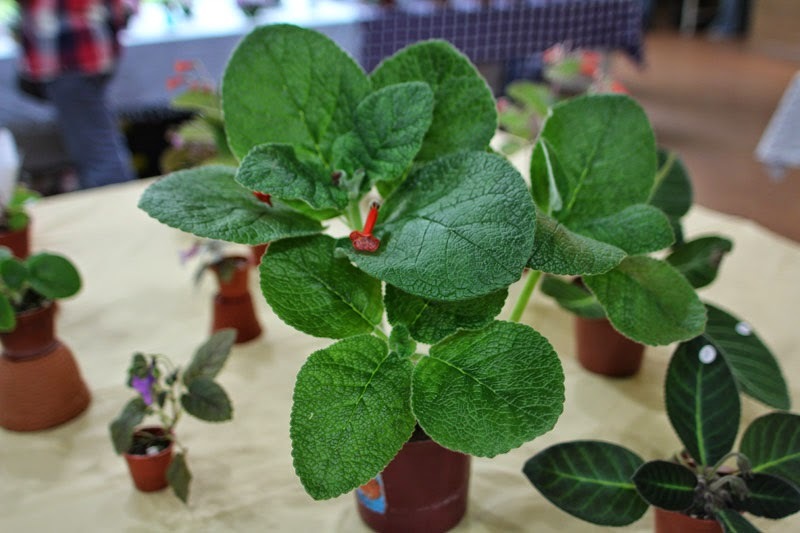 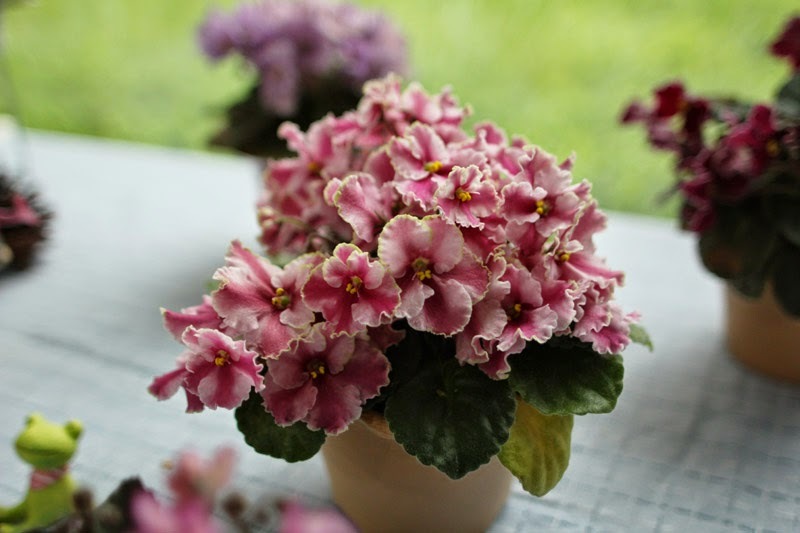 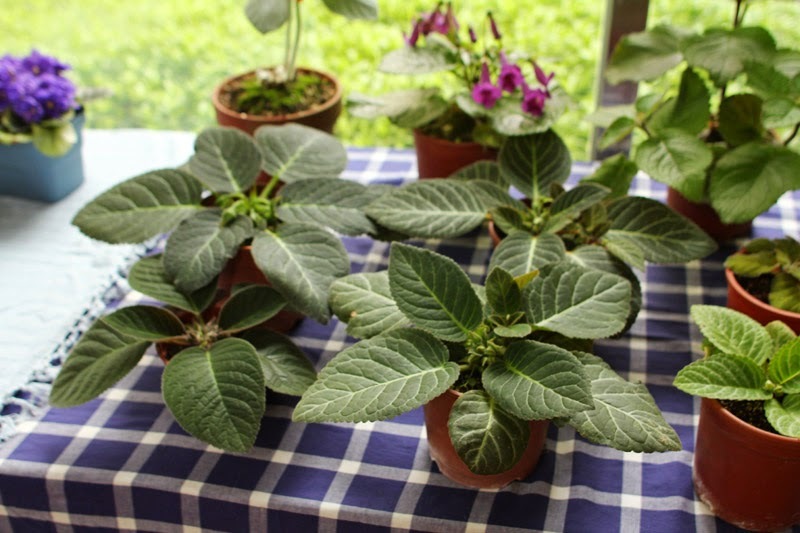 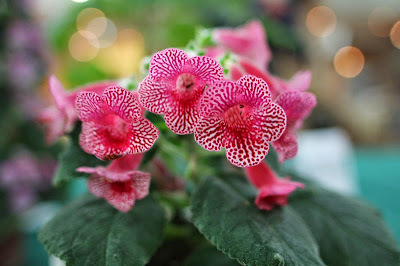 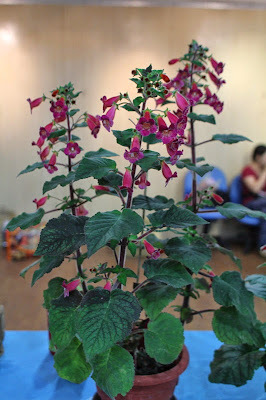 As long as you are addicted to the beauty of Kohleria, you do not want to miss these plants ! 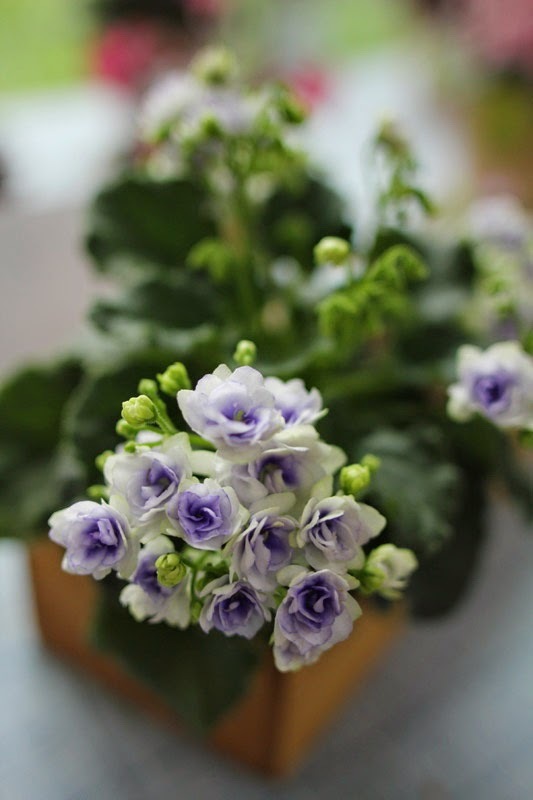 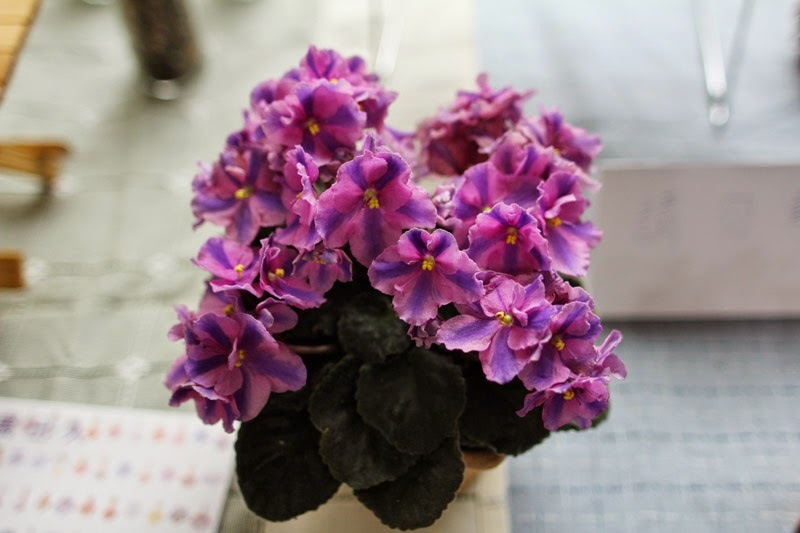 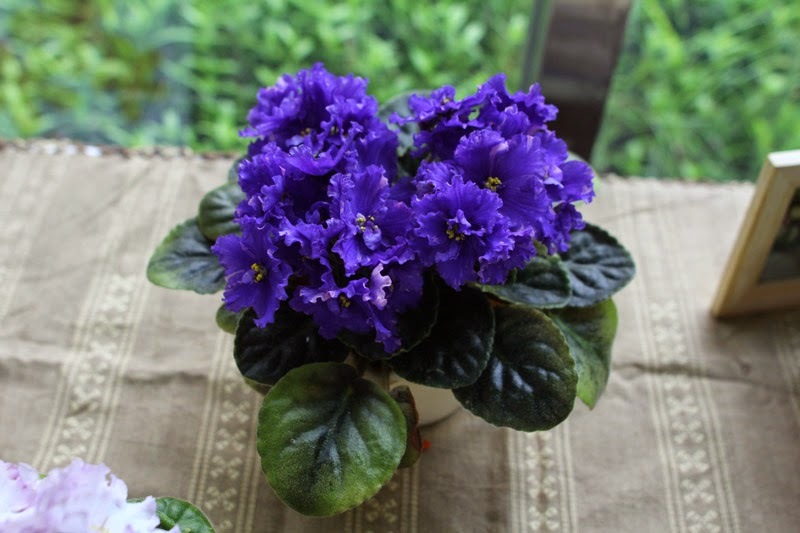 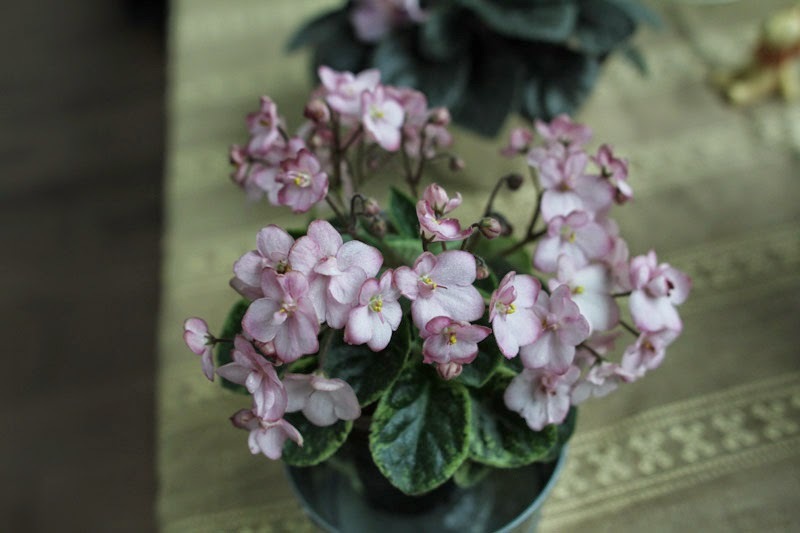 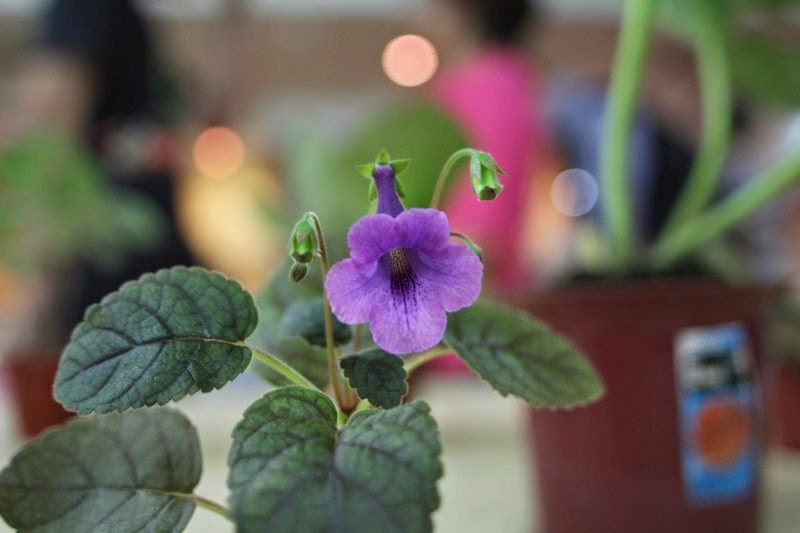 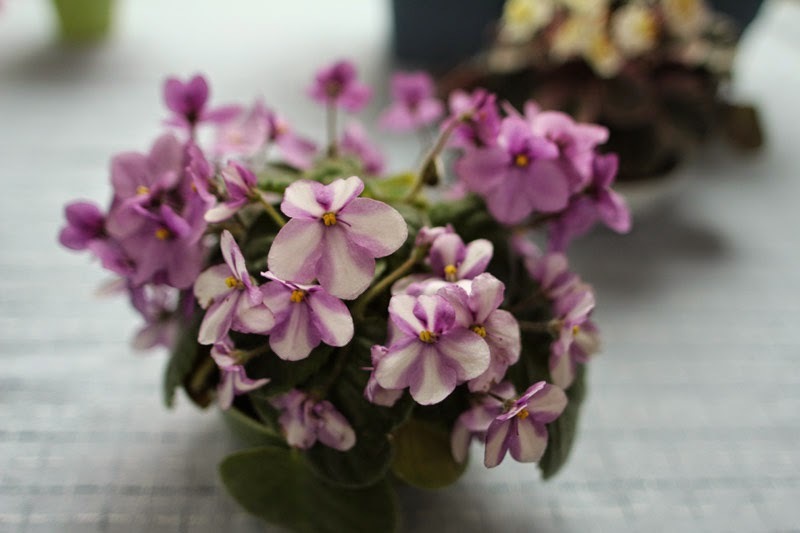 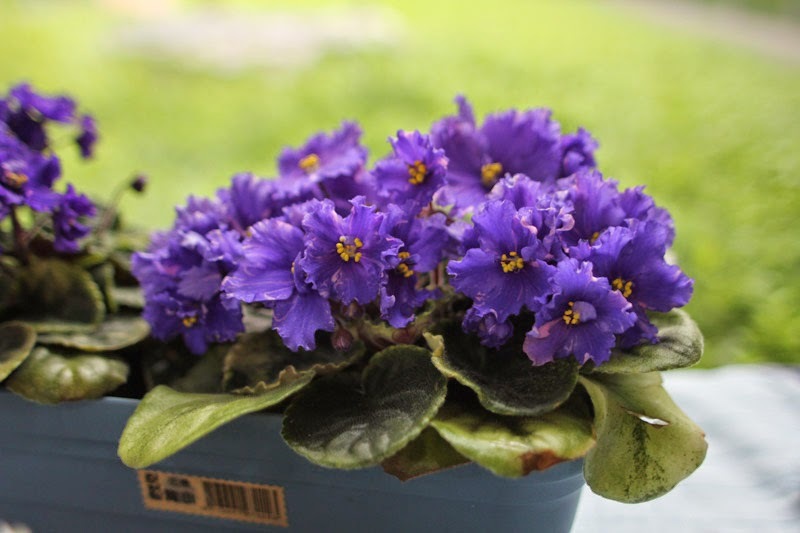 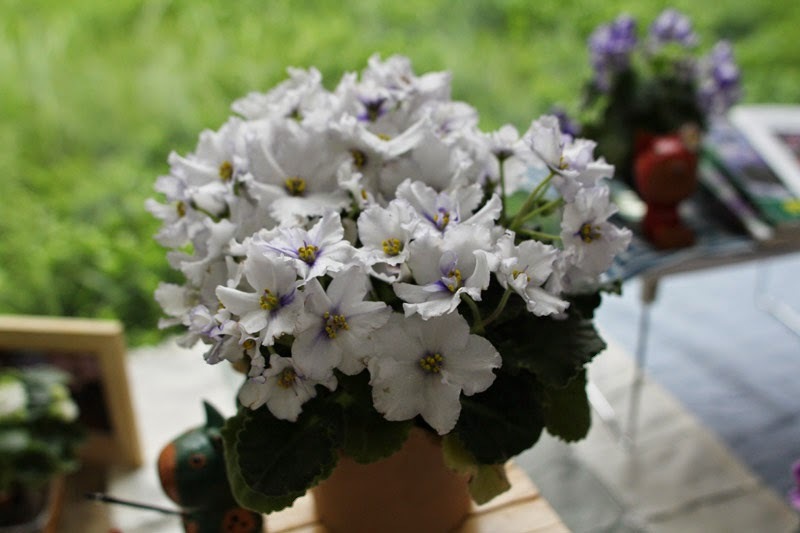 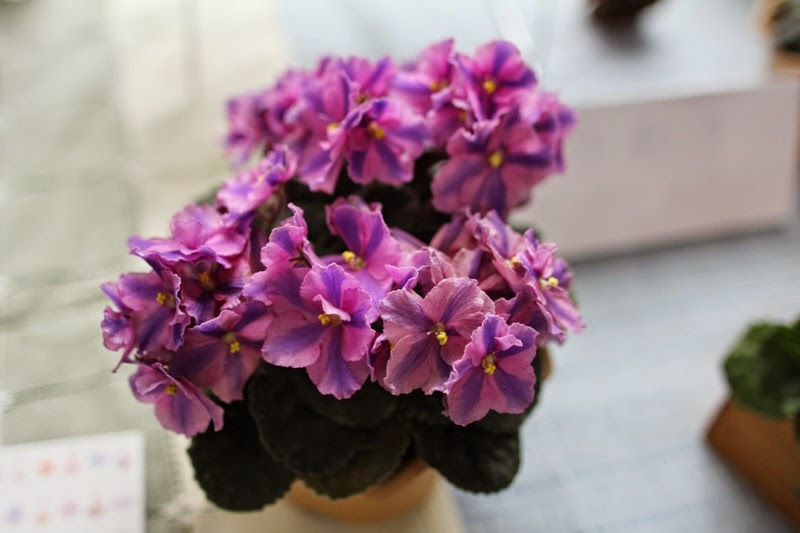 A friend gave me this well-developed plant last week ... because I'm pretty into the fantasy pattern of the violets. 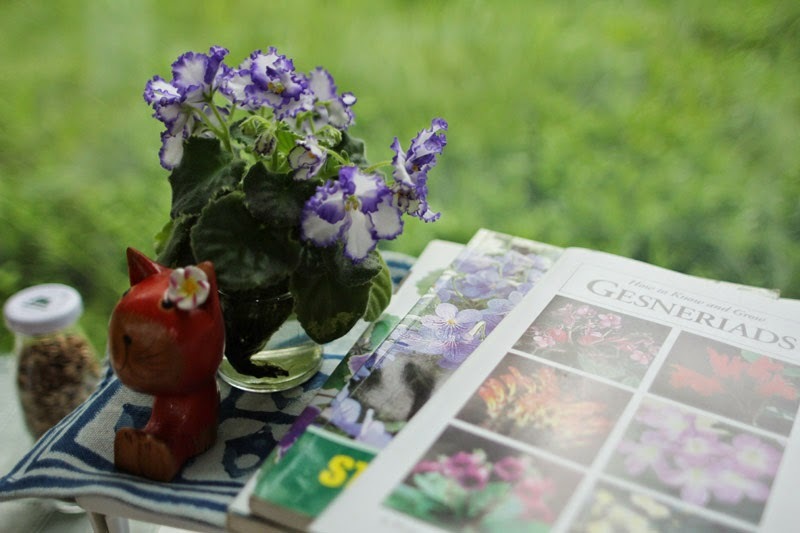 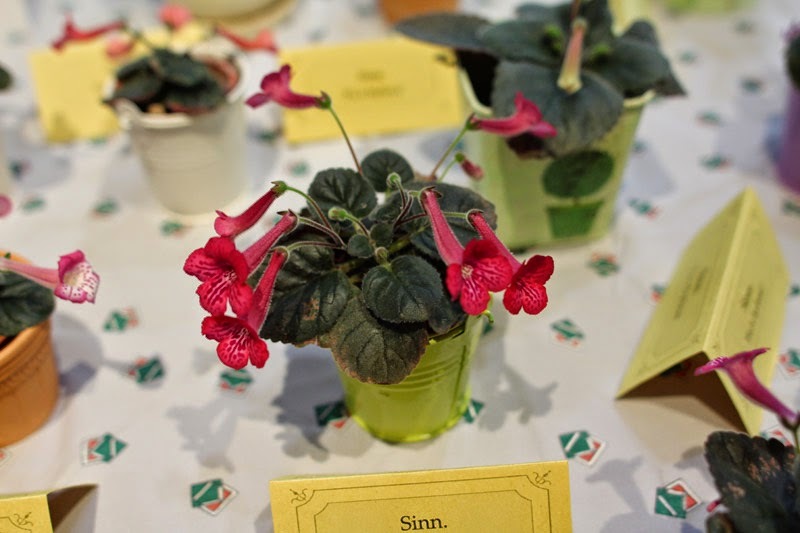 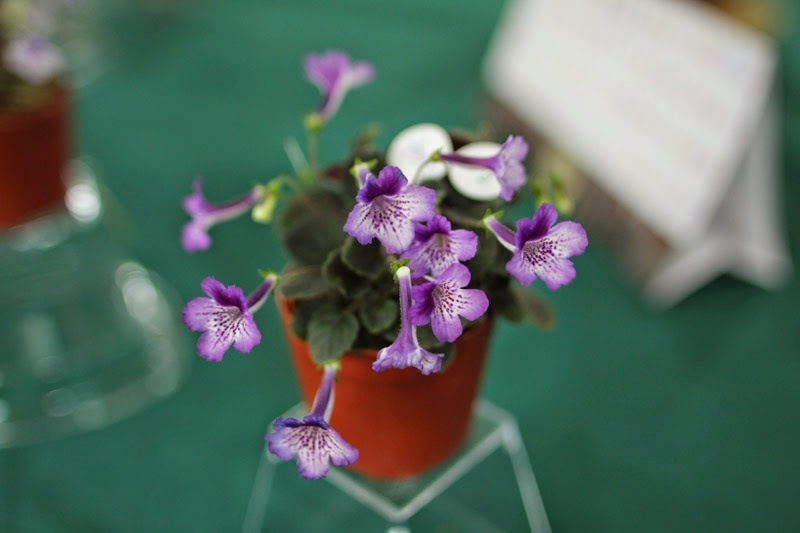 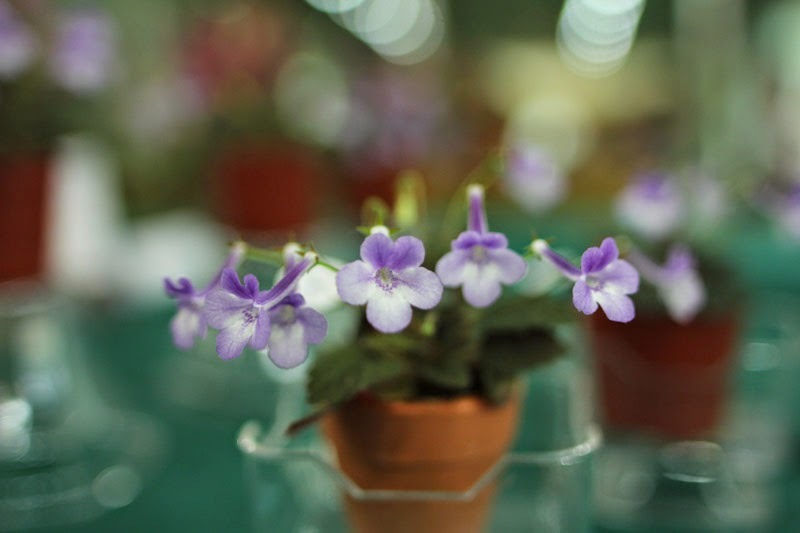 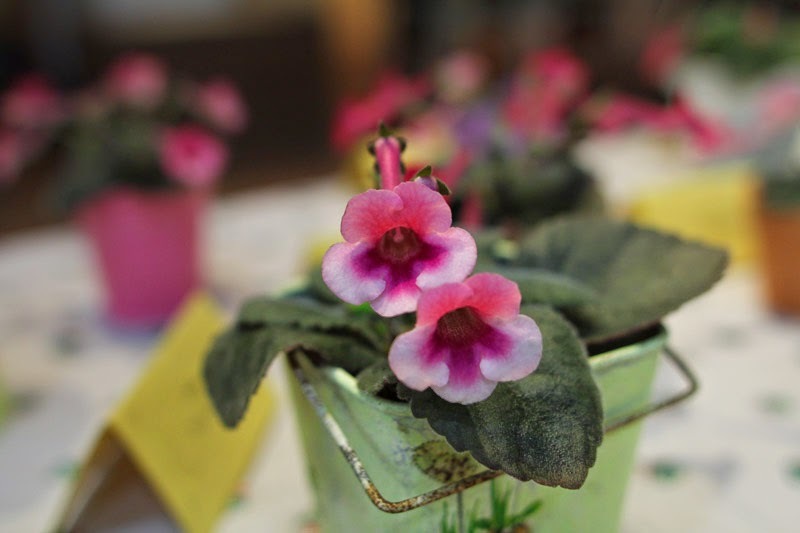 I has a few violets and do not mean to grow them carefully due to my growing area is not qualified for violets. 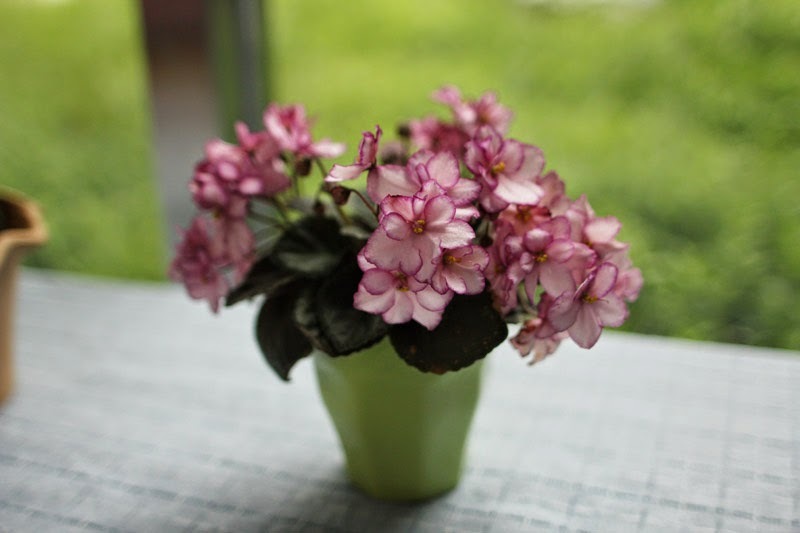 Not extra effort had been done. 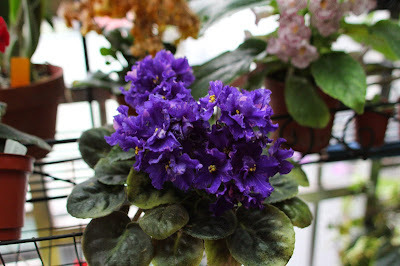 Just a few but good quality. 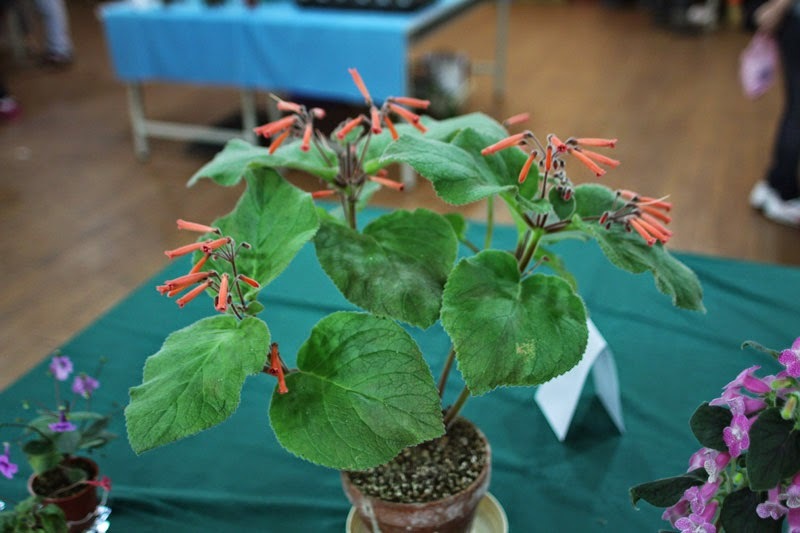 I was too busy to take photos of all show plants, just got some for sharing.